We make our glass bars by dry pressing a glass powder into a bar shape and then melting it into a solid form. 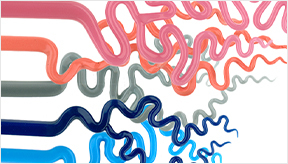 Learn more about our Boro Stix Glass Products offered in a variety of colors. Elan Technology makes beads for electronics used in the automotive industry, and the same quality standard used for Elan’s technical parts is used for Origin Glass. 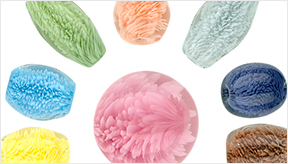 Learn more about our Glass Frit Glass Products offered in a variety of colors. 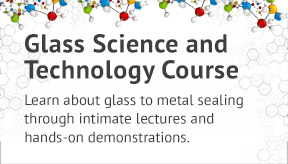 Twice a year Elan Technology, Inc. offers a Glass Science & Technology Course. To date, this course has graduated over 500 engineers world-wide. This three-day course is designed for persons with either a technical or a non-technical background that are working in the field of glass to metal seals. Origin Glass is a division of Elan Technology. Elan has been producing glass beads and powders used in the electronics industry for over 60 years. About 10 years ago we started making glass bars in a variety of colors for glass artists. Until now the bars were either sold as a generic brand or private labeled. We finally decided that we needed to create a brand to properly identify our glass in the art glass scene.